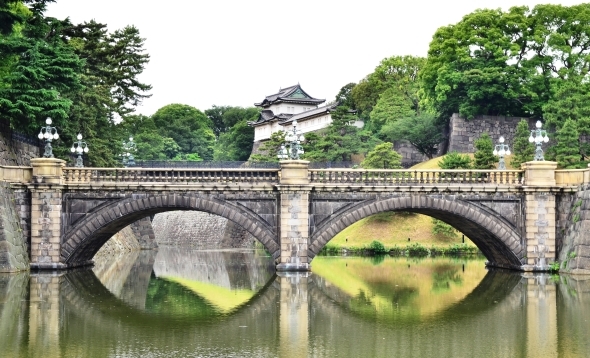 Visit four of Tokyo's popular sightseeing spots with an English-speaking interpreter guide on this 1-day tour: Tokyo Tower, the Imperial Palace Plaza, Sumida River Cruise, and Senso-ji Temple. 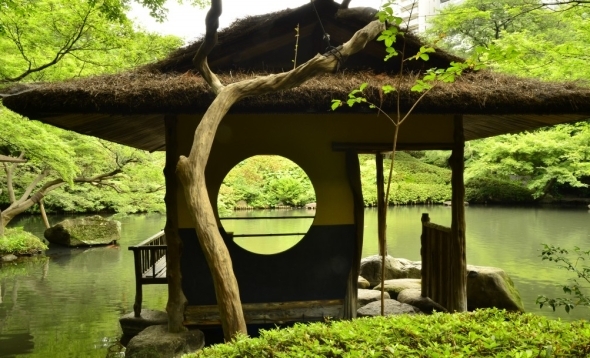 Participants will also enjoy the cultural experience of a traditional Japanese tea ceremony on this popular Tokyo tour. Pick up service is available at hotels in Tokyo. See "Pick up" page. Leave Hamamatsucho Bus Terminal and visit the following places by bus. 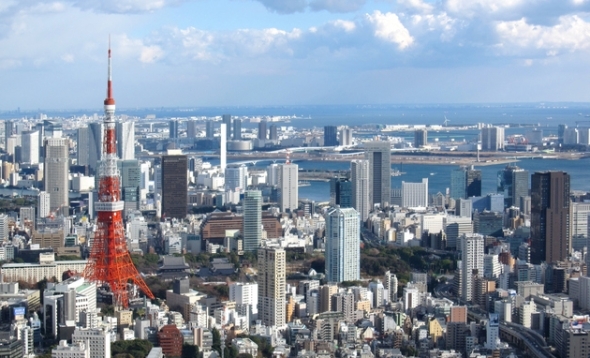 You can enjoy a panoramic view of Tokyo from the observatory at Tokyo Tower. 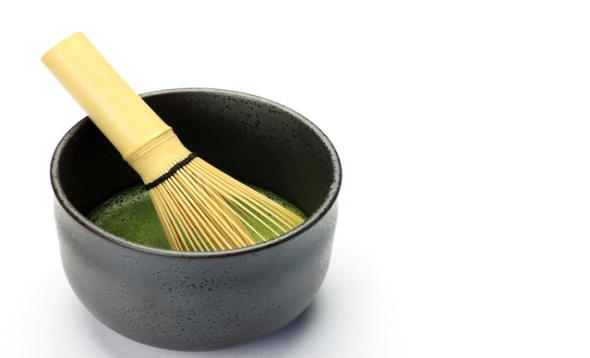 After that you will participate in a traditional tea ceremony. - It is 333 m high and self supporting iron structure. You can enjoy the beautiful view in Tokyo. - It is the way of preparing and drinking tea. The custom has been strongly infuluenced by Zen Buddhism. You will have a Japanese-style lunch. After the lunch, we will stop for photos at the Plaza in front of the Imperial Palace.Then enjoy a boat ride on the Sumidagawa Line from Hinode Pier on Tokyo Bay to Asakusa. 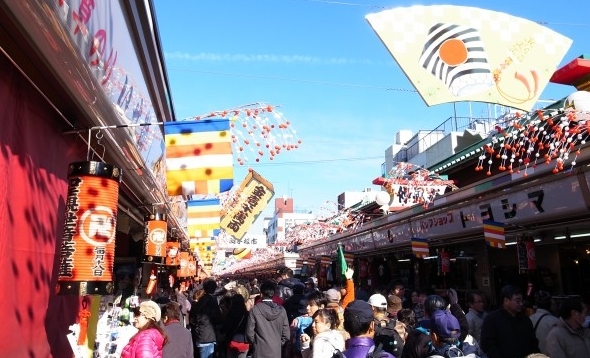 You can enjoy shopping at Asakusa Kannon Temple and Nakamise-dori. Drive through this world-famous shopping district, Ginza. 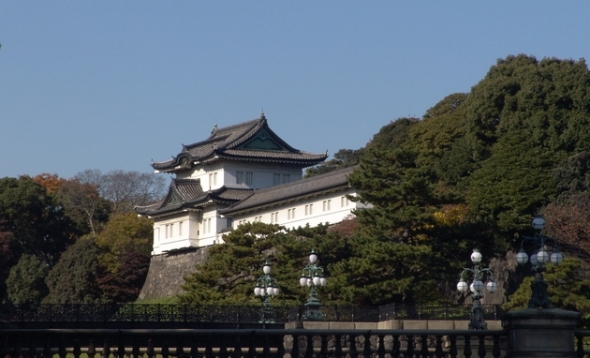 - It is the Japan’s imperial family’s residence. You can enjoy a large park area surrounded by moats and massive stone walls. - It shows modern skyline in Tokyo and also provides a fascinating glimpse of the city of yesteryear. 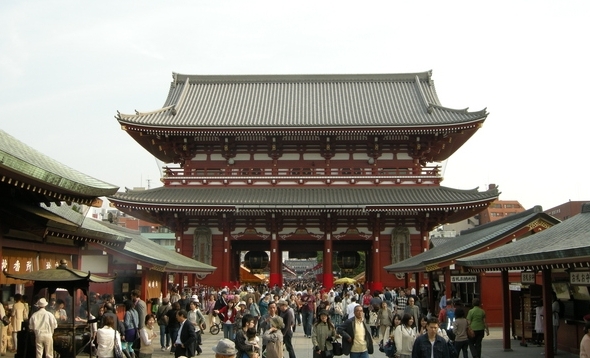 - The arcade is a 300m approach to the temple. 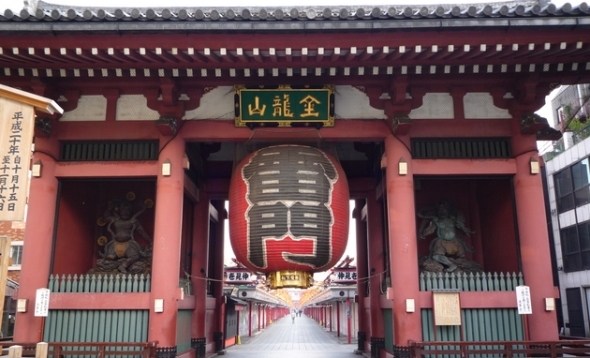 You can enjoy shopping and taking picture in front of a famous lantern lamp named Kaminarimon. Tour Ends at Hamamatsucho Bus Terminal. Minimum participants required: 1 person. Children under age 6 may participate for free, but will not be provided with their own bus seats and must sit on the lap of their parent or guardian. If a seat on the bus and lunch are required for the child, please make a booking at the child rate. 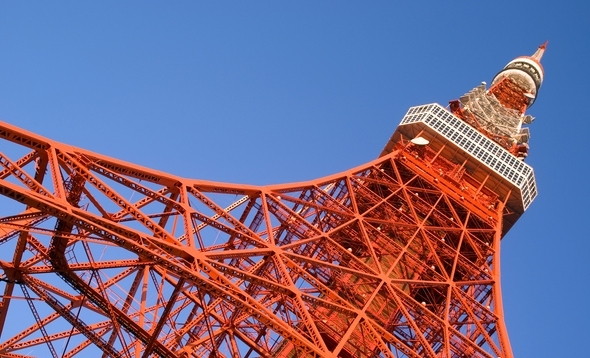 At Tokyo Tower, only the main observatory (150 m) will be entered. An additional admission fee is required to access the Special Observatory (250 m). Those who wish to enter must pay the required charges at the location. *May be changed to a visit to Hamarikyu Gardens depending on circumstances. No refunds will be issued in such cases. *The actual menu may vary due to seasonal and daily availability of ingredients. *Vegetarian meals are available and must be requested at the time of booking. 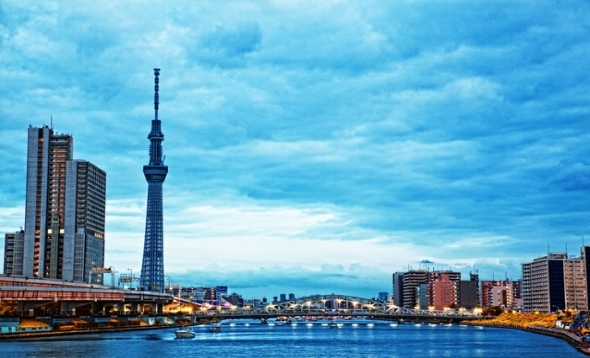 - As the schedule of Sumida River Cruise will be altered during cherry blossom season (expected period: mid-March – early April), arrival time may be delayed. - The Sumida River Cruise ride may be switched to cherry blossom viewing at Sumida Park due to congestion.